If a dog breed is immortalized as a cartoon character and then ends up being so loved a million times over, then there must really be something good about it right? That’s the case for the Beagle which is represented by Charles Schultz’ Snoopy “the world’s most popular beagle”! 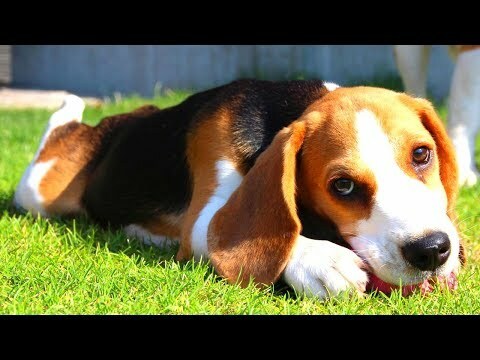 Beagles have a long history with man and were initially bred to be hunting dogs. Their history can be traced back to ancient Greece where Beagle type dogs were in abundance. As their sensitive noses were noticed, breeder began to weed out unwanted qualities and retained physical attributes that are present with the modern day beagle today. Beagles are small to medium sized and have a very distinct physical appearance which sets them apart from other breeds. These dogs have large noses (perfect for finding prey through scents) and oversized ears (which often cover up their eyes when they’re nose down on the ground to further stimulate their sense of smell). Beagles are predominantly white with blotches of black and brown all over their body. This is the AKC standard. Other examples have solid colours but they’re just as loveable as the dogs regarded as the standard beagles. Beagles come from a long line of hunting dogs. So, it is not uncommon to find hunting dog behaviours in them. 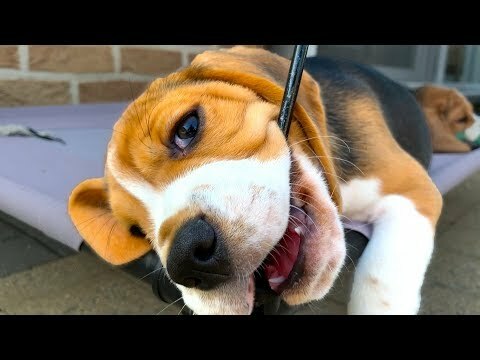 Most beagles get along fine with other household pets but if it’s a strange animal that comes within his vicinity, he’s going to chase after it! But, at the end of the day, a beagle will want nothing else than to snuggle with his owner. If it wants to be by your side, there is nothing in this world that can pry him away from you. And that’s another great thing about Beagles: Their loyalty! Beagles live long and healthy lives, up to 15 years old if they’re really well taken care of. They’re also prone to obesity if they’re not given enough exercise. They will eat anything in sight and they won’t stop until every last morsel is gone, so you have to be vigilant when it comes to their diet. 1 Beagle puppies for sale near you. Beagle The Beagle breed dates to the 1500s. English hunters used them to track rabbits, hare, pheasant, quail and other same game. Although used in packs in the older times, Beagles dogs puppies for sale can hunt alone, in pairs or in packs equally well. One of the most popular breed in the United States of America, the Beagle is a cross between the Harrier and another type of English hound. The name Beagle may have come from the old English word begele or perhaps the Celtic word beag, which both mean small. While known as a hunter, the Beagle has served as an excellent narcotics detection dog and makes a fine family companion. The breed was recognized by the AKC in 1885. The Beagle dogs puppies for sale is a hardy little dog. Their bodies are squarely-built and their head well-proportioned to the body size. The puppies for sale eyes are alert and brown or hazel in color, appearing to be large. Their muzzle is medium in length, straight and squared. The black nose is broad and large nostril led. Their tail is never curved over their backs. Any hound color is acceptable including red and white, tri-color, lemon, lemon and white, blue tick and red tick. The Beagle howl/bark is quite distinctive when they are on the hunt and once heard will always be recognized. Beagle coats are short and easy to groom. A stiff bristled brushing once a week or so is all that is needed, along with an occasional bath. The ears are susceptible to infection, as are all long droopy ears, so be sure to keep them clean. Beagles weigh from 20-25 pounds and stand from 13-16 inches high. The female of the breed is at the lower end of these measurements. 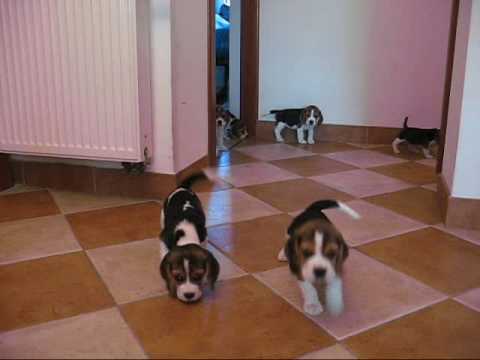 Beagle dogs puppies for sale are energetic and possess great stamina, therefore much exercise is needed. It should have a fenced yard to romp in, however if you are fully committed to daily exercise on an extended basis such as jogging, you might be able to keep them in a large apartment. They are very active inside. Always keep the dogs puppies for sale on a leash when outside otherwise you run the risk of the Beagle going on a hunt in the search of wild game. Loving, sweet and gentle the Beagle is happy to see everyone. Sociable, brave and intelligent, a wagging tail is their greeting for everyone. Beagles are great with kids, but should not be trusted with non-canine pets â€“ they are a hunter of small game. Other dogs and Beagles puppies for sale should get along fine as they are a pack hunter. 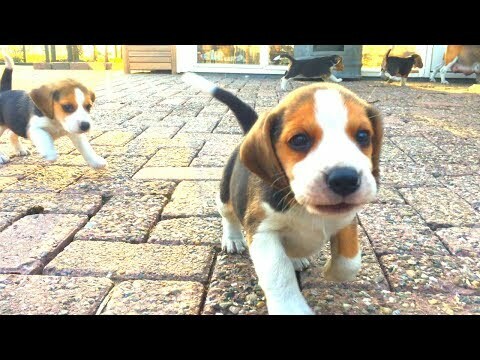 Beagles have minds of their own and, as with all dogs; you need to establish yourself as pack leader. Buying animal scents and playing tracking games with your dog will satisfy his need for tracking. Plenty of exercise will help to keep him calm; being his leader will keep him from finding trouble. 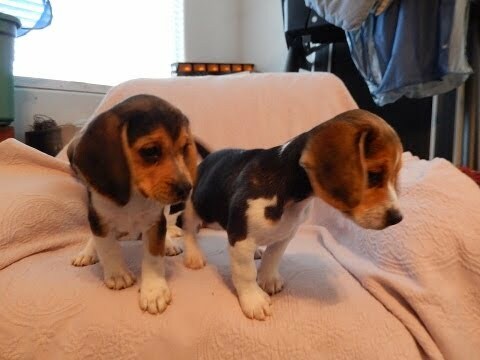 Beagle dogs puppies for sale are curious and if they pick up a scent they may not hear you calling, or choose not to listen, because of their strong instinct to find the animal at the other end of the scent trail. Beagles dogs puppies for sale are loyal, true blue friends, who are easy to get along with and easy to love. They make an excellent family pet and will be happy to go home with you. This is a nice way to make your life easier and save time searching for your Beagle dog’s puppy for sale. Once your email alert is put in place, all you have to do is check your emails regularly! You can create several email alerts, should you wish to do so.